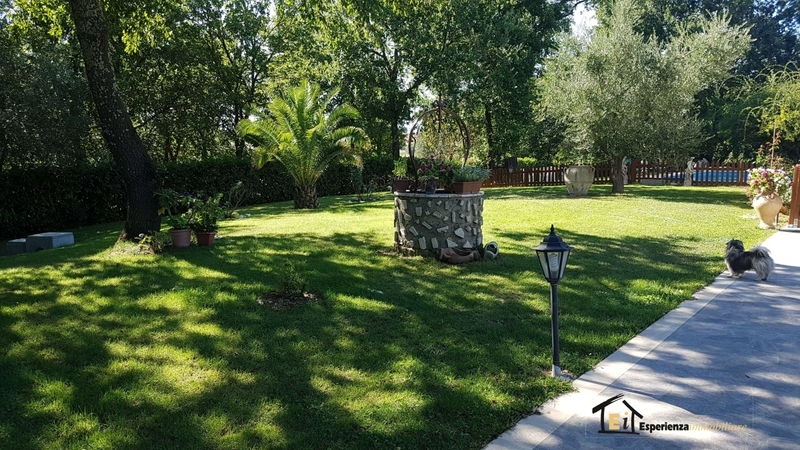 In Montopoli di Sabina campaigns , share of an independent three-family with garden . 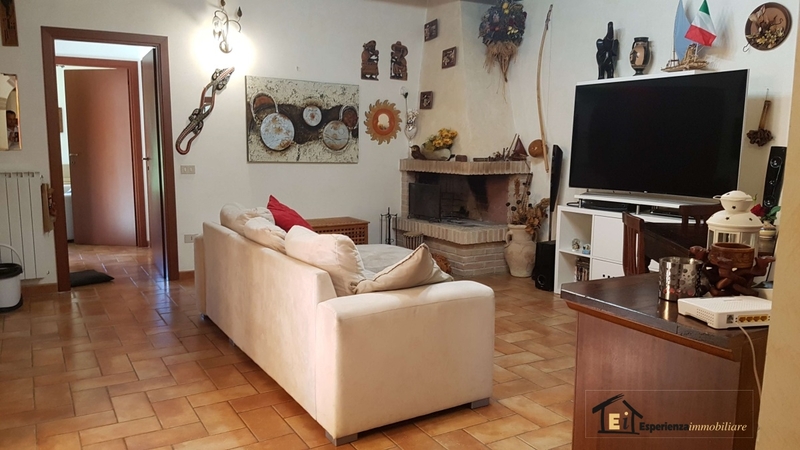 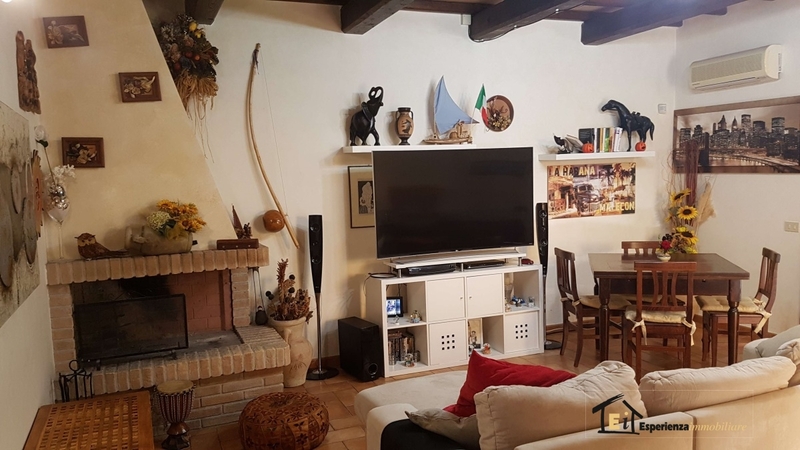 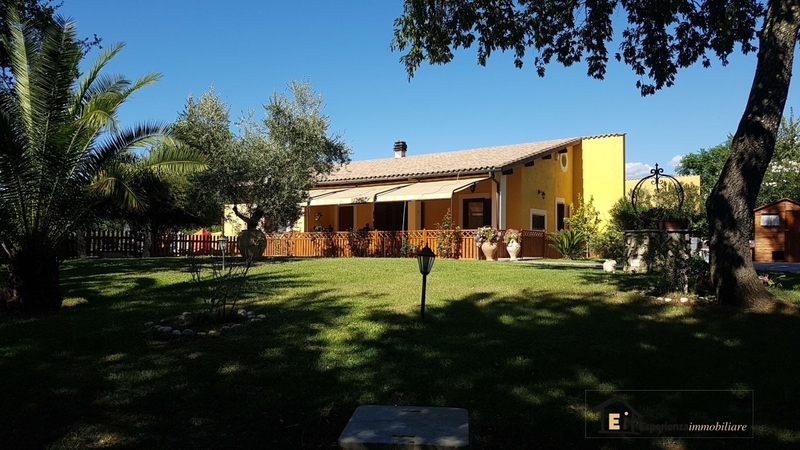 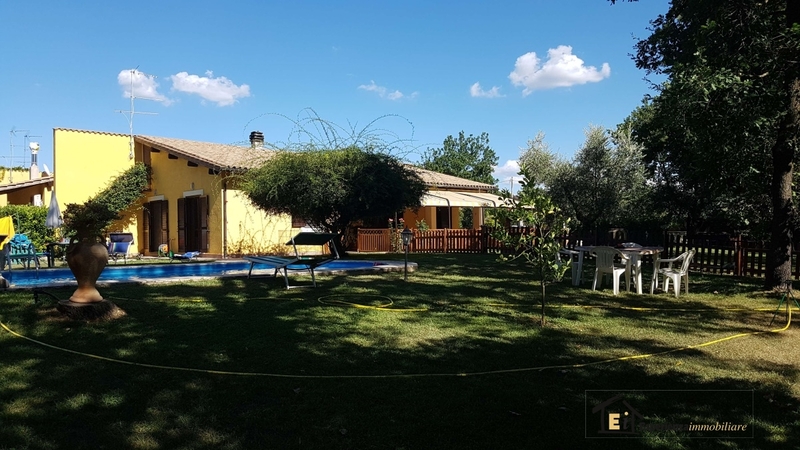 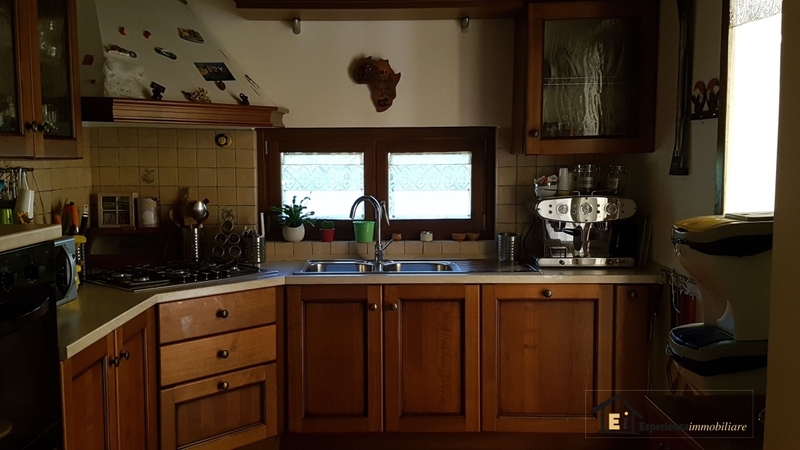 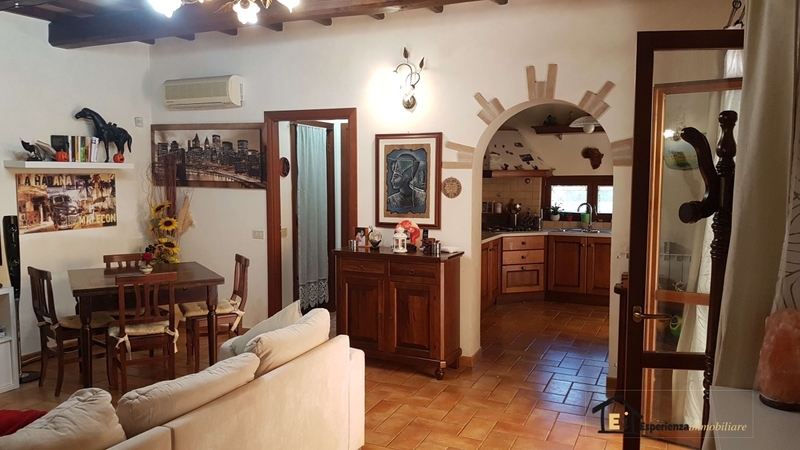 Built in 2005 and finished with chestnut beams and terracotta on the floor , the house is all on one level and comprises: living room with fireplace , kitchen , 2 bedrooms and 2 bathrooms plus a small storage room and a large attic usable as a warehouse . 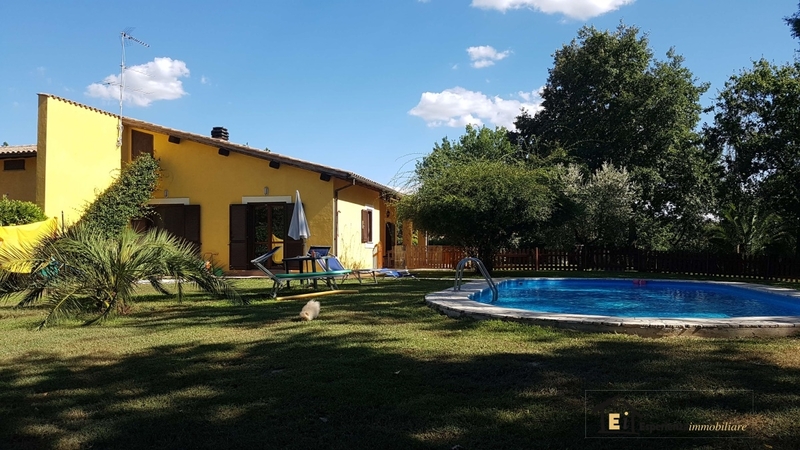 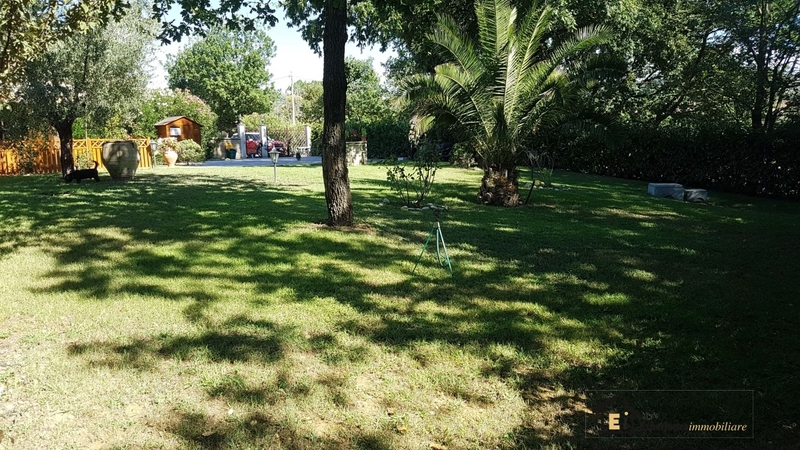 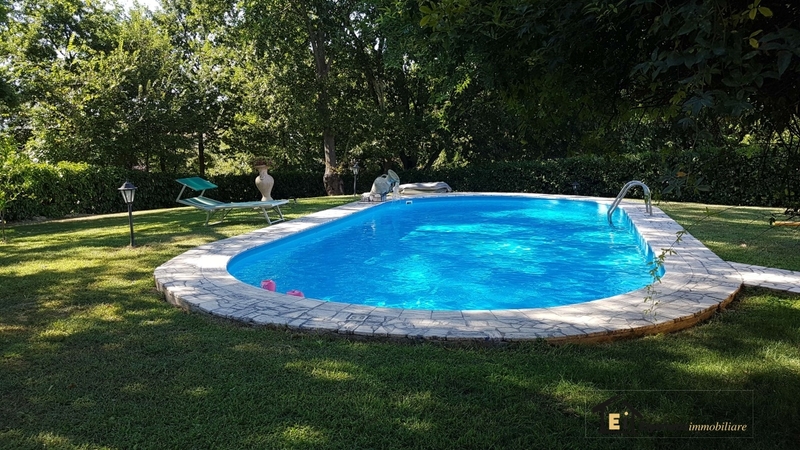 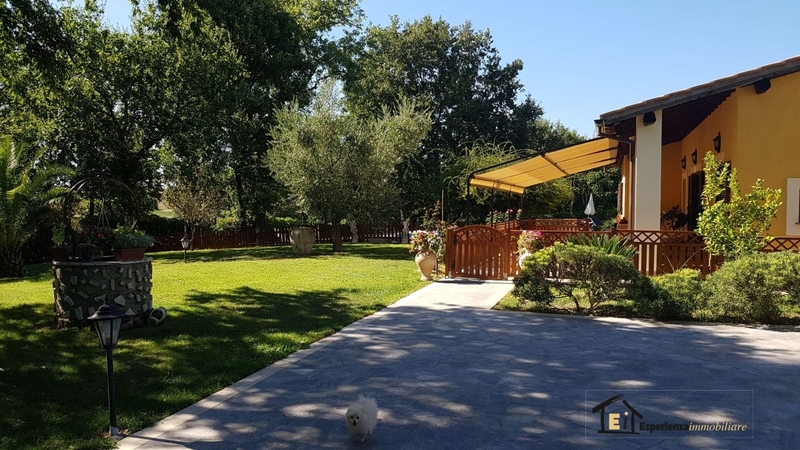 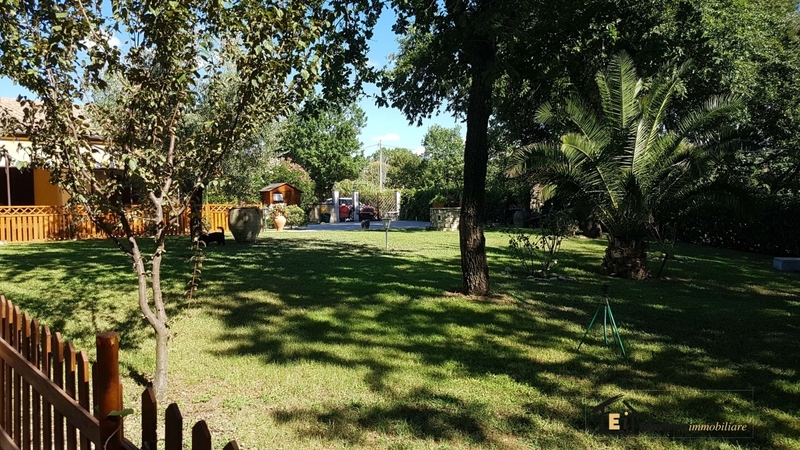 The property includes a comfortable fully fenced garden of about 1800 square meters attention to detail with a swimming pool , irrigation system , artesian well and a barbecue area .